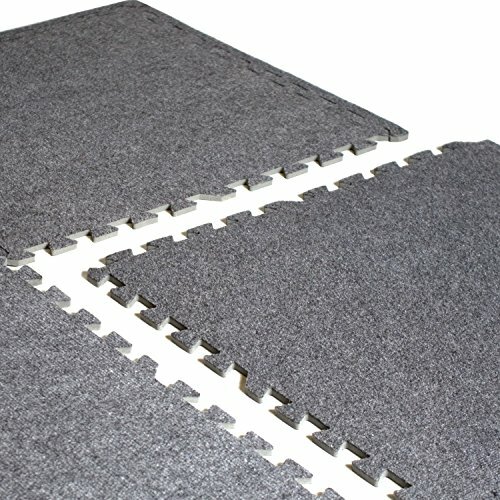 The cap 6-piece foam tile flooring with carpet top is meant to provide sufficient cushioning to hard floor surfaces to protect floors and reduce the risk of injury during a workout. While being easy to clean and maintain, it is also durable enough to withstand long-term use. The EVA material of this workout floor mat ensures that your workout area remains odor free. It sports a puzzle design to give your flooring a unique, finished look.